Ils sont vraiment bons et ils ont une classe qui impressionne certains virtuoses, et nous tout particulièrement. Évidemment, ces gars ne viennent pas de nulle part. Chacun a un passé solide de la scène catalane Ska-Reggae. Par exemple, certains membres de la bande ont joué dans des groupes comme le Dr Calypso ou Walkysons Skatalà. Original song from Wes Montgomery, recorded in 1966 and the backing track are in the library. 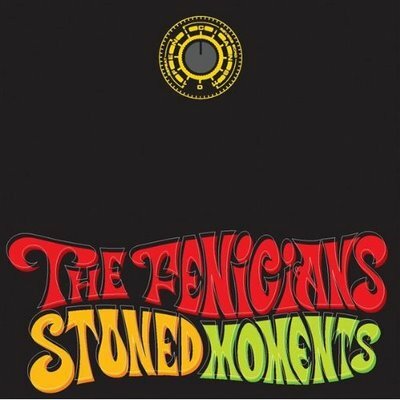 Also, now, the reggae version from the Fenicians! 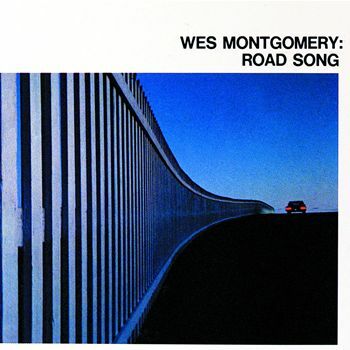 Road Song is an album by guitarist Wes Montgomery, released in 1968. It reached number one on the Billboard Jazz album chart and number 39 on the R&B chart. It also reached number 94 on the Billboard 200. It was his final recording before his death of a heart attack on June 15, 1968. John Leslie “Wes” Montgomery (March 6, 1923 – June 15, 1968) was an American jazz guitarist. He is widely considered one of the major jazz guitarists, emerging after such seminal figures as Django Reinhardt and Charlie Christian and influencing countless others, including Pat Martino, George Benson, Russell Malone, Emily Remler, Kenny Burrell, Pat Metheny, and Jimi Hendrix. DigitalDreamDoor named Montgomery the greatest jazz guitarist of all time. Montgomery was born in Indianapolis, Indiana. He came from a musical family; his brothers, Monk (string bass and electric bass) and Buddy (vibraphone and piano), were jazz performers. The brothers released a number of albums together as the Montgomery Brothers. Although he was not skilled at reading music, he could learn complex melodies and riffs by ear. Montgomery started learning guitar at the relatively late age of 19, by listening to and learning the recordings of his idol, guitaristCharlie Christian. He was known for his ability to play Christian’s solos note for note and was hired by Lionel Hampton for this ability. Many fellow jazz guitarists consider Montgomery the greatest influence among modern jazz guitarists. Pat Metheny has praised him greatly, saying “I learned to play listening to Wes Montgomery’s Smokin’ at the Half Note.” In addition, Metheny stated to the New York Times in 2005 that the solo on “If You Could See Me Now,” from this album is his favorite of all time. Joe Pass said, “To me, there have been only three real innovators on the guitar—Wes Montgomery, Charlie Christian, and Django Reinhardt,” as cited in James Sallis’s The Guitar Players and in his Hot Licks instructional video. Kenny Burrell states, “It was an honor that he called me as his second guitarist for a session.” In addition, Stevie Ray Vaughan, Eric Johnson, Joe Satriani, Jimi Hendrix, David Becker, Joe Diorio, Steve Lukather andPat Martino have pointed to him numerous times as a great influence. Lee Ritenour, who recorded the 1992 album Wes Bound named after him, cites him as his most notable influence; he also named his son Wesley. Following the early work of swing/pre-bop guitarist Charlie Christian and gypsy-jazz guitarist Django Reinhardt, Wes joined Tal Farlow, Johnny Smith, Jimmy Raney, and Barney Kessell to put guitar on the map as a bebop / post-bop instrument. While these men generally curtailed their own output in the 1960s, Montgomery recorded prolifically during this period, lending guitar to the same tunes contemporaries like John Coltrane and Miles Davis were recording. While many Jazz players are regarded as virtuosos, Montgomery had a very wide influence on other virtuosos who followed him, and in the respect he earned from his contemporaries. To many, Montgomery’s playing defines jazz guitar and the sound that learners try to emulate. Dave Miele and Dan Bielowsky claim, “Wes Montgomery was certainly one of the most influential and most musical guitarists to ever pick up the instrument….He took the use of octaves and chord melodies to a greater level than any other guitarist, before or since….Montgomery is undoubtedly one of the most important voices in Jazz guitar that has ever lived-or most likely ever will live. A discussion of Jazz guitar is simply not thorough if it does not touch upon Wes Montgomery.” (Jazz Improv Magazine, vol 7 # 4 p. 26). “Listening to [Wes Montgomery’s] solos is like teetering at the edge of a brink,” composer-conductor Gunther Schuller asserted, as quoted by Jazz & Pop critic Will Smith. “His playing at its peak becomes unbearably exciting, to the point where one feels unable to muster sufficient physical endurance to outlast it.” Wes received many awards and accolades: Nominated for two Grammy Awards for Bumpin’, 1965; received Grammy Award for Goin’ Out of My Head as Best Instrumental Jazz Performance by Large Group or Soloist with Large Group, 1966; nominated for Grammy Awards for “Eleanor Rigby” and “Down Here on the Ground”, 1968; nominated for Grammy Award for Willow, Weep for Me, 1969. Wes’ second album, The Incredible Jazz Guitar of Wes Montgomery, earned him Down Beat magazine’s “New Star” award in 1960. In addition, he won the Down Beat Critic’s Poll award for best Jazz guitarist in 1960, ’61, ’62,’63, ’66, and 1967. (NPR.org, September 26, 2007). John Coltrane asked Montgomery to join his band after a jam session, but Montgomery continued to lead his own band. Boss Guitar seems to refer to his status as a guitar-playing bandleader. He also made contributions to recordings by Jimmy Smith. Jazz purists relish Montgomery’s recordings up through 1965, and sometimes complain that he abandoned hard-bop for pop jazz towards the end of his career, although it is arguable that he gained a wider audience than for his earlier work with his soft jazz from 1965–1968. During this late period he would occasionally turn out original material alongside jazzy orchestral arrangements of pop songs. In sum, this late period earned him considerable wealth and created a platform for a new audience to hear his earlier recordings. He didn’t have very long to live to enjoy his commercial success, however; on June 15, 1968, while at home in Indianapolis, Indiana, USA, he woke one morning, remarked to his wife that he “Didn’t feel very well,” and minutes later collapsed, dying of a heart attack within minutes. Montgomery’s home town of Indianapolis has named a park in his honor. He is the grandfather of actor Anthony Montgomery. According to Jazz guitar educator Wolf Marshall, Montgomery often approached solos in a three-tiered manner: He would begin a repeating progression with single note lines, derived from scales or modes; after a fitting number of sequences, he would play octaves for a few more sequences, finally culminating with block chords. He had little knowledge of scales or modes, let alone musical theory. He used mostly superimposed triads and arpeggios as the main source for his soloing ideas and sounds. . He generally played a Gibson L-5CES guitar. In his later years he played one of two guitars that Gibson custom made for him. In his early years, Montgomery had a tube amp, often a Fender. In his later years, he played a solid state Standel amp with a 15-inch (380 mm) speaker. Montgomery toured with vibraphonist Lionel Hampton’s orchestra from July 1948 to January 1950, and can be heard on recordings from this period. Montgomery then returned to Indianapolis and did not record again until December 1957 (save for one session in 1955), when he took part in a session that included his brothers Monk and Buddy, as well as trumpeter Freddie Hubbard, who made his recording debut with Montgomery. Most of the recordings made by Montgomery and his brothers from 1957–1959 were released on the Pacific Jazz label. Almost all of Montgomery’s output on Riverside featured the guitarist in a small group setting, usually a trio (and always with his organist from his Indianapolis days, Melvin Rhyne), a quartet, or a quintet, playing a mixture of hard-swinging uptempo jazz numbers and quiet ballads. The lone exception, Fusion, telegraphed his post-Riverside career: it was his first recording with a string ensemble. One of the more memorable sets involved a co-leadership collaboration with vibraphone virtuoso and Modern Jazz Quartet mainstay Milt Jackson, whom producer Orrin Keepnews has said insisted on a collaboration with Montgomery as a condition for signing a solo recording deal with Riverside. But he never abandoned jazz entirely in the Verve years, whether with a few selections on most of the Verve albums, or by such sets as 1965s Smokin’ at the Half Note (showcasing two memorable appearances at the famous New York City club with the Wynton Kelly Trio) or a pair of albums he made with jazz organ titan Jimmy Smith, The Dynamic Duo and Further Adventures of Jimmy and Wes). He continued to play outstanding live jazz guitar, as evidenced by surviving audio and video recordings from his 1965 tour of Europe. As a considered founder of the Smooth Jazz school the album “Bumpin'” (1965) represents a model from which many modern recording are derived: as the liner notes to the CD remaster issue note, after being unable to produce the desired results by the guitarist and orchestra playing together, arranger Don Sebesky suggested Montgomery record the chosen music with his chosen small group, after which Sebesky would write the orchestral charts based on what Montgomery’s group had produced. Longer clips from all of the tracks on “Bumpin'” and other Wes Montgomery albums are found on Verve Records website. By the time Montgomery released his first album for A&M Records, he had seemingly abandoned jazz entirely for the more lucrative pop market, though as in his Verve period he played his customary jazz in small group settings in live appearances. The three albums released during his A&M period (1967–68) feature orchestral renditions of famous pop songs (“Scarborough Fair”, “I Say a Little Prayer”, “Eleanor Rigby”, etc.) with Montgomery reciting the melody with his guitar. These records were the most commercially successful of his career, but featured the least jazz improvisation. Wes and Buddy, along with Richard Crabtree and Benny Barth, formed “The Mastersounds”, and recorded “Jazz Showcase Introducing The Mastersounds” and a jazz version of “The King and I”, both released by World Pacific Records. They first played together at Seattle, particularly working up the set for “The King and I”, at a club called Dave’s Fifth Avenue. The composers were so impressed by the jazz version of “The King & I” that they pre-released the score of “Flower Drum Song” to the quartet to allow simultaneous release with the sound track album. Wes’ recordings for Riverside/Milestone Records, including those made with The Montgomery Brothers are on the 12CD Box The Complete Riverside Recordings.